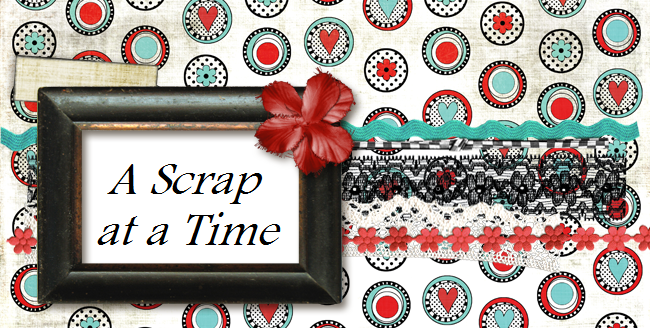 Welcome to My Scraps & More's World Card Making Day Blog Hop!!! If you have started here go back and begin the hop at Tammi's blog. Throughout the hop you will see cards created using Page Maps sketches and different 6x6 paper pads. I was lucky enough to receive the gorgeous Echo Park For The Record 2 Tailored collection. For your chance to win simply become a follower of the My Scraps & More blog AND leave a comment on each design team blog as you hop along. (We would love for you to become a follower of our Facebook page as well but it is not required) The hop will run through October 10th. Make sure to leave a comment at the My Scraps and More Blog letting us know you completed the hop. 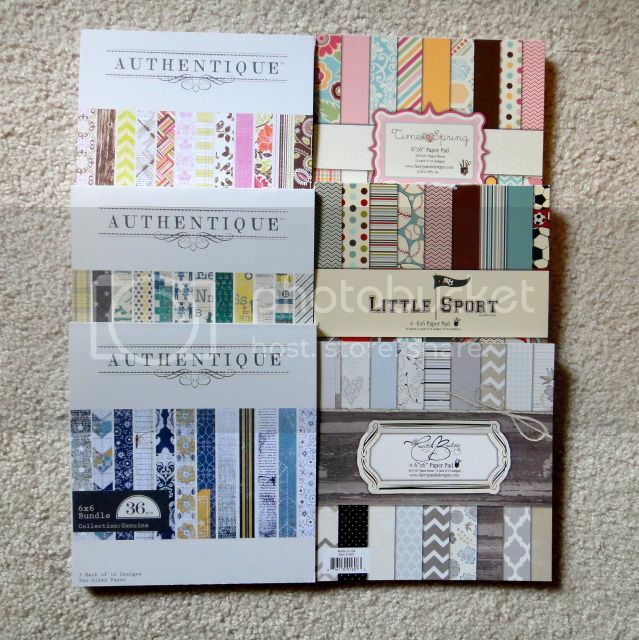 Here is the fabulous prize you could win, six 6x6 paper pads. But that is not all. Become a follower of my blog if you are not already and I will choose one random comment for a $10 GC to My Scraps and More. Now hop on over to Lisa blog!! Just became a follower of your blog. Can't wait to look around. Your cards are beautiful!! beautiful cards. And also became a follower of your blog. love your cards Tracy, love that doily looking green paper on the 2nd one. I just became a follower. Thank you for the inspiration. These are so pretty, Tracy!! Love them!! I am already a follower and your cards are beautiful! So pretty Tracy! I especially love the flower and vase on your first card! These are amazing, Tracy! I love that flower in the jar with the twine stem & leaves! Gorgeous. The yellow flower on the second is so pretty, and that butterfly on the last one...stunning. Beautiful cards! Love all the cards you made and I have been a follower of your blog. Great work and those people who get the cards will be lucky people. Thanks for th chance to win the best GC at myavorite store. Beautiful take on those sketches! New follower! Lovely cards, my favorite is that second one. You did a great job with the sketches! Love what you did with the Page Maps sketches, especially the card with the jar. Oh my ! these are beautiful,love your takes on the sketches !!! Thanks for the chance to win !! Really cute! Love that yellow flower on the doily. cute cute cards!!!! lovin the twine on top and ribbon pleats on the bottom one!! Very cute! Love the card with the jar! You did an awesome job with the sketches! Great cards and so fun to see the sketches too. I'm a follower. I'm a new follower and loved your cards. Love the butterfly card, great inspiration from the kite sketch. thanks for sharing and the chance to win. Love your cards. I just became a follower of your blog. Thanks for the chance to win and also for sharing your cards. Beautiful cards. Thanks for sharing them and for the chance to win. Great cards, love the dimension on each of them! I was already a follower! These cards are so pretty!! !